As work turns flexible, communication becomes mobile and tech entrepreneurs and freelancers increase in number, the workspace is adapting itself to the new environment. The millennial workers who grew up with digital devices for their toys are mobile and look at work not as a physical structure but as an experience. The traditional office building that houses nine-to-five employees must now share landmass with workspaces leased out to individuals on a short-term basis – as short as an hour, a day or a week. 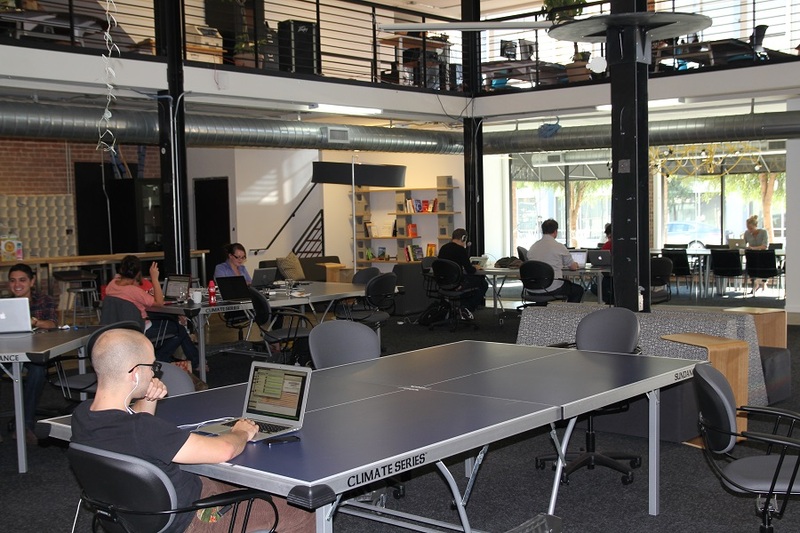 The on-demand workspace began appearing a few years back. Breather was created by just such a person who needed office space on the go. Julien Smith, its founder, traveled frequently around the globe for business and was often at a loss for finding an area to do his work. Coffee shops and hotel lobbies presented too many distractions. The need for these alternative offices prompted the birth of the on-demand space company which now networks with spaces for rent in the major US cities, Canada and London. LiquidSpace, founded earlier, had a head start and is now the biggest network in real time for workspace on demand. Startups and individuals love not having to commit to long-term rentals, allowing them vertical and locational flexibility. As people in various fields saw its benefits and availed of the spaces, what was once seen as a trend has now become a necessity. An organic search will yield quite a few such companies offering these transient workspaces; even hotels have joined in. Marriott offers its Workspace On Demand program in selected locations. It’s not limited to its guests; anyone can book as a walk-in client or can schedule ahead of time. A great alternative to booking for an overnight stay, the hotel chain will include more locations in this pilot program. From being a place for travelers to do business in, these workplaces are now frequented by laptop-carrying freelancers who desire a quiet place outside of the home and startups with limited funding who do not want to be burdened by locked-in annual leases. It can also be the ideal place for a company to hold conferences with remote workers, HR interviews outside of headquarters, sit-downs with clients, organization meetings and even meditation sessions. And for the weirder uses of the temporary office, Breather’s Smith says people have proposed, mothers have breastfed their babies, actors have rehearsed for their roles and videos have been shot, all in the privacy of the rooms. The office home and Starbucks have been the traditional work places for many freelancers. But they have their drawbacks. You have no control over the noise in coffee shops. When you get there, all the power outlets have been grabbed by students and fellow independent workers. You’re overcaffeinated because staying longer makes you feel obligated to order another cup. At home, there are the noise from the kids and the chores screaming out to be done. And if you need to be in a video chat, you have to make sure the kitchen sink is out of view and find a background that doesn’t look too domestic. These on-demand spaces offer the best alternative. They vary in size, cost of lease and amenities offered. The basics are a desk or table, free high speed Wi-Fi and charging stations. If you write for magazines, you don’t need much more. Some writers admit to simply staring out the window from their high rise office-away-from-home until they get inspiration or ideas. For IT people who are free agents, high speed internet and all those other equipment developers can’t do without are available. Groups who need collaborative space get accommodated, too, with workspaces that have conference tables for four or forty. Fledgling entrepreneurs and startups use these transient workspaces as they are more cost-effective, provide a standardized environment, give them a professional and prestigious address and increase staff productivity. Coffee, tea and bagels are offered in some offices for extra cost as are scanners, copiers and other office essentials. As the number of individuals and groups who seek flexibility in work increase, these on-demand office spaces provide the solutions in an instant, from anywhere in the world through online queries and bookings. Users have the apps on their smartphones and bookmarked on their browsers for easy access. And while they are still concentrated in urban centers, its spread to the borders is inevitable. From solo setups for people who need privacy and quiet to shared spaces for collaborative work, there’s one for everyone. And pretty soon, everywhere.